We are now well into the new year and this is an exciting time, hopefully, with many updates and changes soon to come for Planetes. While we released in 2018 (Early Access), we expect 2019 to be an even bigger year for Planetes. We knowingly released the game early, many might say too early, but as a small development team it can be difficult to find enough people to play and test the game. Releasing when we did allowed us to get a much larger amount of feedback about the game as well as to discover a lot of bugs and issues. So, thanks to everyone who has been here with us through the difficult times! What can be expected moving forward? Each of the categories below will be addressed in-depth in a later blog write up, but we have outlined them here. - Improved server stability and performance. - Player hosted and community hosted dedicated servers. - More unique ship parts with varied footprints. Server Stability: While the server performance has been OK when there are a handful of players on at a time, it certainly has issues when we start getting anywhere near the 24 players per server limit. This is not how we want the game to be and we will not stop working on this until the per server limit is much higher (above 50 concurrent users). Community Servers: This has long been requested by the community, and it is currently being worked on. We had hoped to get this in back in November, but we had a lot of other things that we were stuck working on at the time. While we could release this now, it would not be as feature complete or user friendly as we want it to be. Ideally, this should be as easy to set up as starting an offline game. Crafting: This is a feature that should have been in the game from the beginning, but again is one of those features that connects into so many other areas of the game that it can be difficult to get working if the other linked features are not as complete as they should be. The crafting system will use designs or blueprints that can can either be unlocked from a skill tree or found as loot depending on the design and its rarity. Each design will require a number of resources to craft and the appropriate crafting station. Through crafting, players will also be able to craft ship parts, which will be able to be placed by putting the part on your hotbar, selecting it, and then placing it like you would with the current building system. This is important because the current building system will be changing. 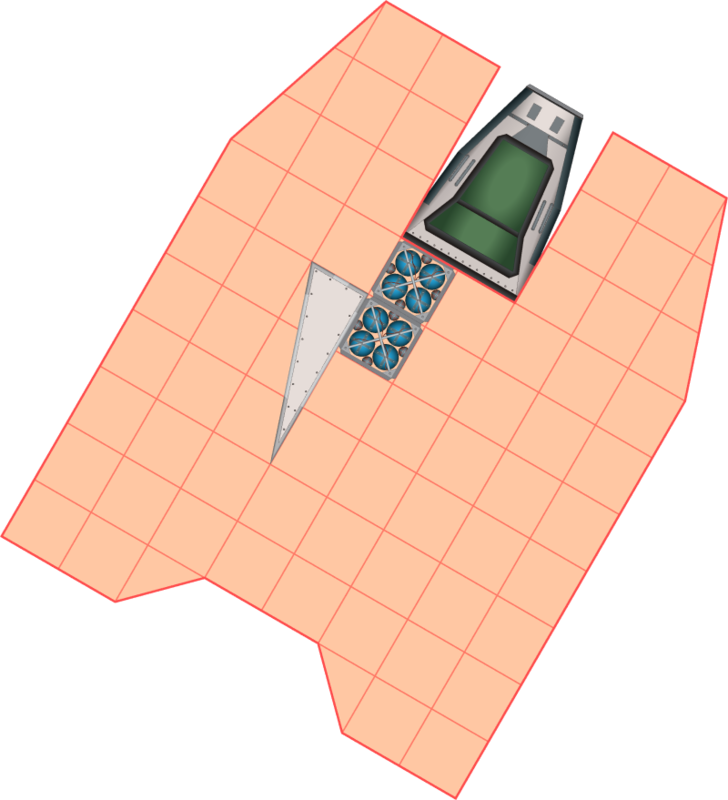 Revised Ship Building: Our current ship building system works, but there is nothing special about it. It’s nothing great or unique. It is also very performance intensive when large ships with many parts are built onto a ship. We are going through the process of redesigning this system to be more performance intensive and unique to Planetes. Our new direction will be sacrificing some of the freedom players had to build any design they wanted, but hopefully the benefits will outweigh this! New Ship Parts: The majority of our current parts fill out a unit square or can be combined to fill out a unit square. We don’t actually have a reason for this aside from it making building a bit simpler for the player. Our engine can support any parts of any shape so, moving forward, we will take advantage of this to let players truly build some unique ships within the revised building system. Ship Management: This has been a feature that was always meant to be a big part of Planetes, but has yet to be included in the game even on a small scale. This system will be how ammunition, power, and fuel are delivered to the various parts of the ship. It will include the UI that allows the player to choose which weapons to fire. It will also include the the ship radar system, which will not just be informational, but will also be how the player controls various weapons and drones at range. AI: Having AI in Planetes has always been planned, and by AI we do not just mean ships that fly around waiting for a player to stumble on them. We wanted NPCS, and creatures as well, so for a while we avoided this area since we knew it would be a pretty big undertaking and we wanted to be sure we had the resources to do it right. This has now been moved up on our priorities list because we feel that, until Planetes becomes a more widely played game, it will suffer from feeling empty. While some players enjoy this, because it provides a sort of creative mode, the majority of players have indicated they would like a more engaging experience. So, until we have active servers, adding AI will be necessary to breath a bit of life into the game. Short Term: Moving forward we will be putting out a small update within the next week that addresses some major outstanding bugs and issues. For several weeks following this update, we will only be putting out a couple of small patches for other small bugs and issues. This is because our attention is going to be refocused on some of the redesign work we need to complete for us to start putting in the above mentioned features and systems. We plan to first work on the redesigned ship building system since it is such a core element of the game and the new system will be a defining element of Planetes. From our very small development team, thanks again for all the support, encouragement, and feedback over the last months! ​This Update wipes the servers! Added ability to set your own controls. Added parts: Girder Angle 2X2, Part Panel Angle 2X2. Added UI for saving/loading ships and offline games. 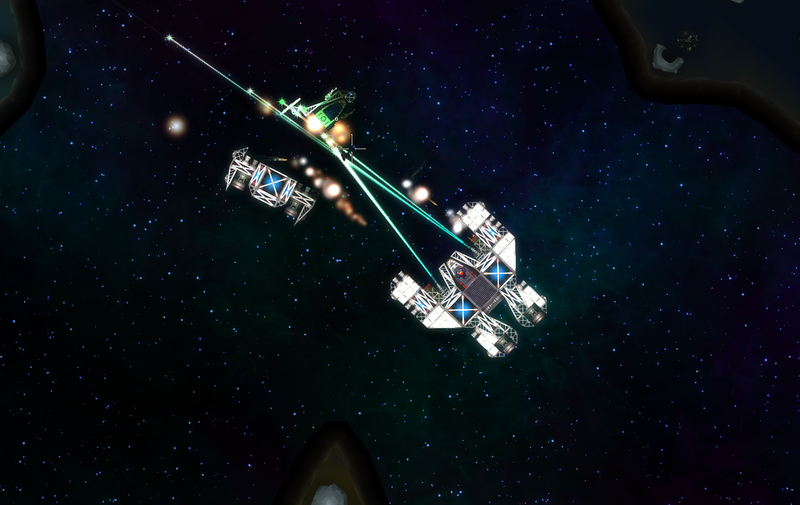 Overhauled movement update syncing, (player and ship movement should now be much smoother). Lowered both ship and player update rates, (high rate is no longer needed with better position syncing). Ships are now saved to disk. Fix for not being able to do anything on a multiplayer game. Lowered sound levels on thrusters and Polytool. Fix for character being seated in a lagged position when enter a moving cockpit seat. Fix for not being able to fire projectiles. Help find bugs! Please click the report bug button in the top left of the screen if you encounter any issues or bugs. You can also use this feature to request new additions to the game, or if you just want to send a friendly note to the devs! We are very excited to have finally launched in early access on Steam! Early Development Trailer and Steam Page.